BGM-71A should, BGM-71A-3 should not. From my research A-3 should at least be the one on all helicopter mounts and it appears to have been used in the ground role by Luxembourg (a nation without helicopters), who I presume will not have had the idea on their own and therefore it's probably been used in the ground role by other countries too. I'm afraid more work will be required to figure out who had A and who had A-3. I've uploaded a new version. I am currently compiling data for a larger air-to-air missile rebalance, but for now I have simply buffed all missiles to a minimum of 5 HE. (All) Centurion frontal armor reduced : Mk.5 to 7; Mk.7, Sh'ot Kal, and Austrailian 5/1 to 8; and ERA adds 2 armor. molnibalage wrote: It is strange you set all MIG-29s to AG role while in RL the only AG role which was assigned to MIG-29 is nuclear strike. At least in units in Hungary. This is how Eugen had them set, which is a situation comparable to the F-16's. I do not recommend. MiG-31 is a PVO fighter. Period. Hi, I love your mod, most units and factions now feel much more diverse. However, I've noticed some inconsistencies with the price/stats ratio of some REDFOR tanks. For example, T-72BU costs 5 pts more than T-80UM, but its advantages are 1 more front and back armor and better fuel economy. T-80UM on the other hand is much faster, has a superior ATGM and the gun is slightly better on the move. Feels more like they should be equally priced. This issue is more pronounced on some low-mid tanks. Yugo T-55AH Igman costs 5 pts less than Polish T-55AM2 Merida, yet it has superior speed, armor, accuracy on the move, while only having slightly less static accuracy and worse fuel economy. The M-91 Vihor line also needs readjustment IMO. Their cost/stats ratio makes high end Polish and Czechoslovak tanks redundand. It'd be fine if the Vihor line followed the flavor of the M-84 line: faster and more accurate than equivalent T-72 variants, but with worse armor. TitoIsMyDrug wrote: Hi, I love your mod, most units and factions now feel much more diverse. However, I've noticed some inconsistencies with the price/stats ratio of some REDFOR tanks. For example, T-72BU costs 5 pts more than T-80UM, but its advantages are 1 more front and back armor and better fuel economy. T-80UM on the other hand is much faster, has a superior ATGM and the gun is slightly better on the move. Feels more like they should be equally priced. There is a qualitative difference in survivability between 21 and 22 armor when engaging high end tanks, which I believe justifies the 5 point increase despite the T-72BU's other disadvantages. TitoIsMyDrug wrote: This issue is more pronounced on some low-mid tanks. Yugo T-55AH Igman costs 5 pts less than Polish T-55AM2 Merida, yet it has superior speed, armor, accuracy on the move, while only having slightly less static accuracy and worse fuel economy. Thanks for pointing this out. I have increased the price of the Yugo T-55 to 60 to match the Polish one. Due to how the prices are compressed in this capability range, the extra armor point on the Yugo vehicle isn't worth 5 points. TitoIsMyDrug wrote: The M-91 Vihor line also needs readjustment IMO. Their cost/stats ratio makes high end Polish and Czechoslovak tanks redundand. It'd be fine if the Vihor line followed the flavor of the M-84 line: faster and more accurate than equivalent T-72 variants, but with worse armor. I believe the price to be fair for the Vihor series and there is little room for stat reinterpretation, or at least enough to distinguish them further from Czech tanks. There may be a way to merge the two M-91's into a single vehicle. 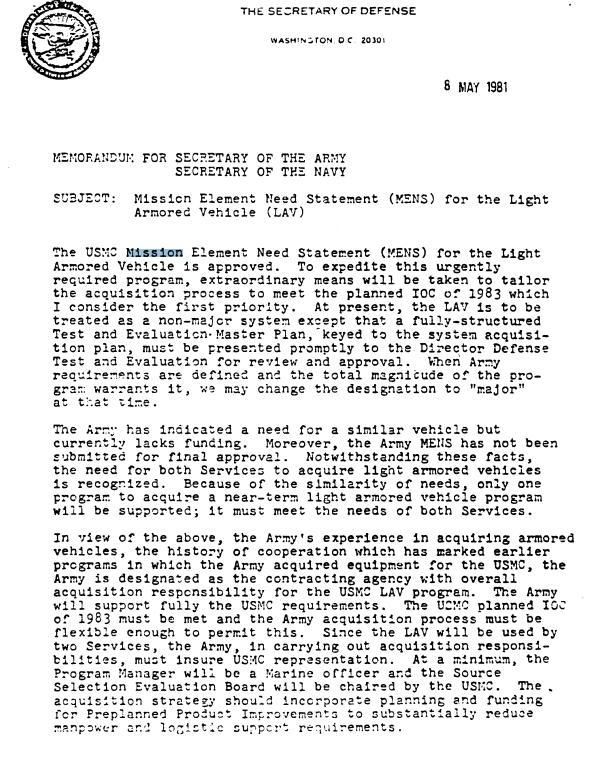 Perhaps by giving the ERA to the base M-91 while retaining its 20 AP ammo or by removing the ERA from the later vehicle? I do appreciate your comments; if you notice any other pricing discrepancies I'll gladly look into them. Thank you for your reply! Hm, you have a point about the T-72BU pricing. Glad to hear you've adjusted the price of the T-55AH. Now that I've looked into it a bit more, the Finnish T-55M Matti could get a 5 pt price increase as well, since its stats are identical to the Merida except it has 1 more AP. Also, I've noticed that T-72S has 1 less side armor than T-72B, despite having side ERA. 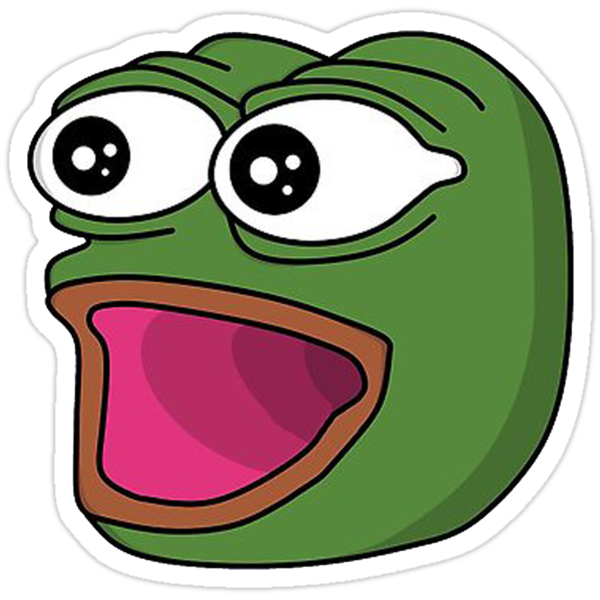 Was that intentional on your part, because T-72S has more AP? As for your Vihor suggestion, the base variant plus ERA sounds like a good idea. Maybe it could have the same armor values like the Twardy and keep the gun and mobility stats of the base Vihor? TitoIsMyDrug wrote: Thank you for your reply! Hm, you have a point about the T-72BU pricing. (All) I've looked over every T-55 and corrected several inconsistencies. Their availability has been standardized and slightly adjusted to compete with other vehicles in their capability range. (Yugoslavia) The M-91 and M-91A Vihors were merged. (UK) The Tornado F.2 was replaced with an F-4M Phantom FGR.2 (M61A1, 4x AIM-9G, 4x Skyflash, 20% ECM). They were on loan between 1970 and 1973, which is too early for Wargame's timeframe, and their ground attack loadout was redundant. 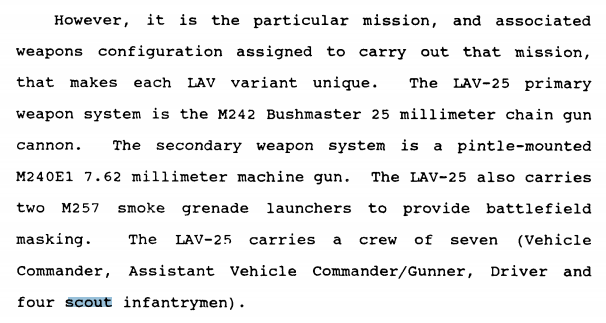 The LAV-25 is designated as a troop transport in the acquisition document and earlier manual, for it was to be a joint order for both Army and USMC, and it was the former (which wished to use it as an IFV for the Light Infantry Division concept) which was designated as the contracting agency for both Army & USMC. Besides, having one battalion of LAV to transport three battalions of Marines + performing their other tasks (recon in 1983, FSV from 1988 apparently) doesn't really mark it as a real organic transport, but more as a more situational one. Since an MEU's heavy amphibians company and transport air wing can't do anything else but transport, we've attached them to Marines as such. Thus freeing the LAV to perform their other, and original, task. That is: recon & FSV. Thank you for posting that Fodder. I had read that post some time ago and began correcting it, though work on my mod has been delayed for the last two months due to an injury. 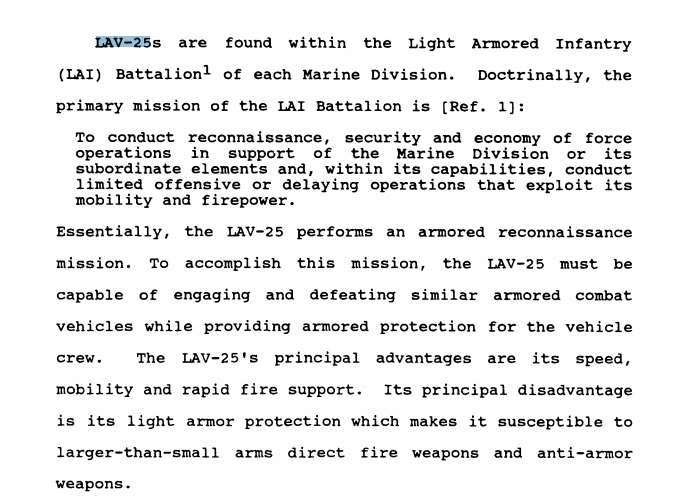 In my current WIP, I have removed the LAV-25 from Marine infantry and will be reinstating the FSV. I am considering whether I should give Force Recon the recon LAV as a transport, as it does seem fitting. How many ppl. use this mode generally? How easy is to find a game with the MOD?